The Napa Valley Wine Train not only takes you on a beautiful, meandering 36-mile round trip journey through Napa Valley's lush vineyards and countryside, it also gives you insider access to some of the region's most incredible, historic, and award-winning wineries. 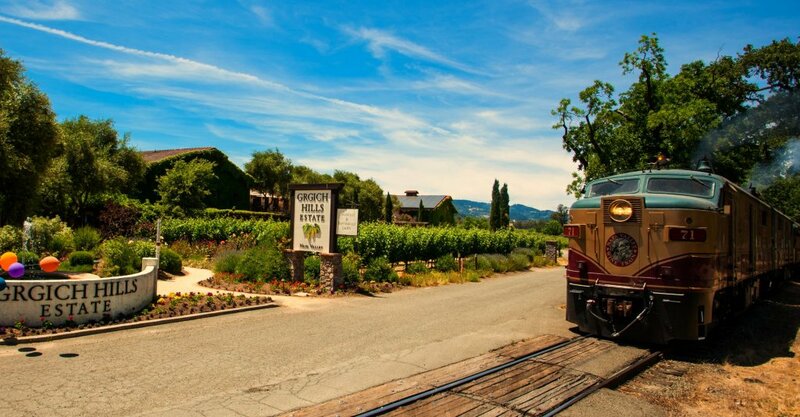 Learn about the wineries of the Napa Valley Wine Train and start planning your journey. 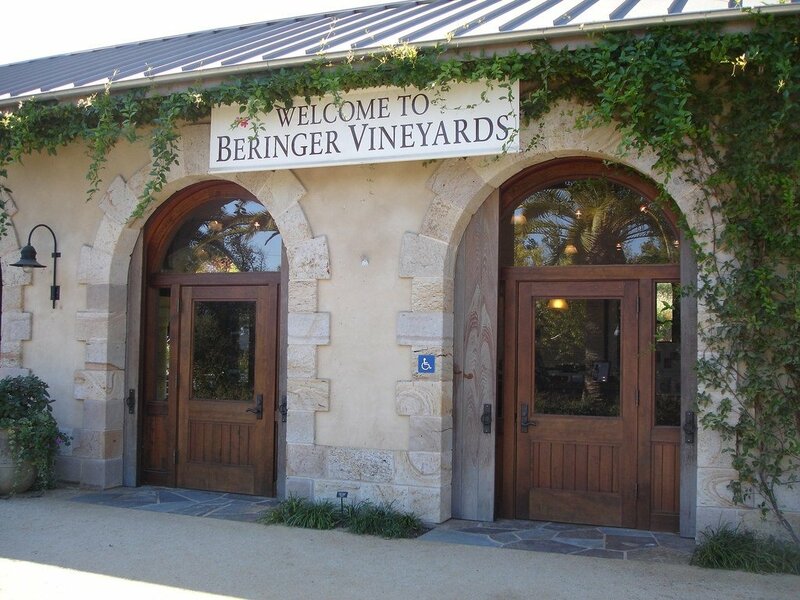 For California wine lovers, Beringer is a must-stop; it's the oldest continually operating winery in the state! This Napa Valley institution dates back to 1875 when brothers Jacob and Frederick Beringer purchased the land it still sits on. The dedicated winemakers at Beringer have been perfecting their craft ever since, and it shows! It’s the first and only winery to have both a red and white wine named #1 Wine of the Year and its wines, produced with techniques pioneered at Beringer, continually top awards lists. Plan Your Visit: This beautiful property is one of the stops on the Collective Tour. A visit to Castello di Amorosa is like stepping back in time. Meticulously styled after a 13th-Century Tuscan villa, this winery is as elegant and exciting to visit as its wines are to taste. Alongside detailed tapestries and turrets, the castle of Castello di Amorosa also has a torture chamber, armory, and vaulted grand barrel room. Nestled atop 171 acres of beautiful Napa Valley land, this passion project by owner Sattui (which took 15 years to build), is a delight to explore. 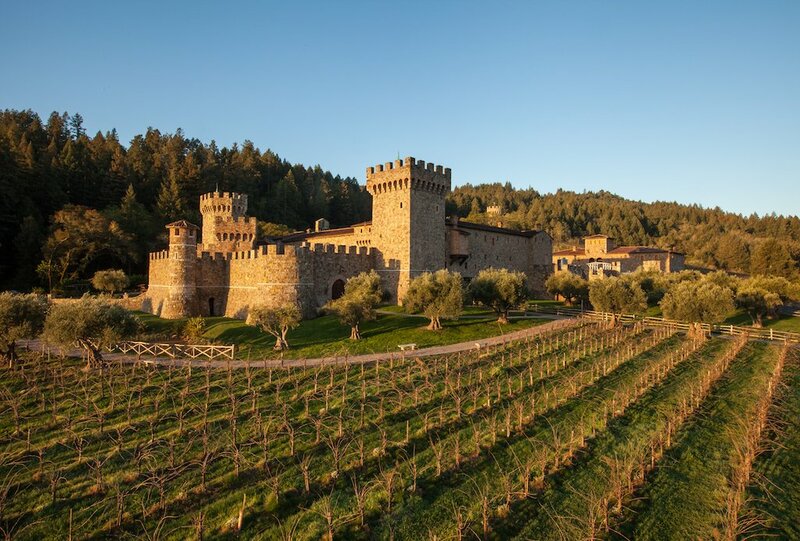 Plan Your Visit: A tour of Castello di Amorosa is part of our Ambassador Winery Tour. Charles Krug, a Prussian immigrant and eminent figure in the history of Napa Valley, founded his eponymous winery in 1861, making Charles Krug Winery the oldest in Napa Valley. Charles Krug pushed the winemaking industry forward for decades until Italian immigrants Cesare and Rosa Mondavi purchased the winery in 1943. Charles Krug Winery has been run by the Mondavi family ever since, producing quality wines on the estate’s more than 700 acres. Plan Your Visit: Tour the Charles Krug Winery aboard our Ambassador Winery and Legacy Tours. Discover the bright and bubbly world of sparkling wines at Domaine Chandon at an informative tasting with their expert winemakers. Founded by Champagne house Moët & Chandon, the techniques used here are rooted in tradition and produce delightful sparkling wines for any occasion. Explore the stunning grounds, take in the impressive architecture and lush landscaping, relax on the sun-soaked patio, and toast to the finer things in life. Plan Your Visit: This beautiful property is the first stop on our Estate Tour. Grgich Hills Estate hit the scene with a bang in the now infamous Paris Tasting of 1976, when, in a blind tasting of wines from around the world, French sommeliers chose winemaker Mike Grgich’s 1973 Chateau Montelena Chardonnay as the finest white wine in the world. Forty years later and the estate-grown, 100% organic wines produced at Grgich Hills continue to garner attention and delight palates. See first-hand the passion of these vintners and even try your hand at stomping grapes the old fashioned way on a tour of this famous Napa Valley vineyard. Plan Your Visit: Spend an hour touring and tasting on our Grgich Hills Winery Tour. The winery at Hall in St. Helena is unmistakable, thanks to the 35-foot-tall rabbit sculpture that jumps joyously out of its fields. The more you explore this 150-year-old vineyard, the more there is to see! 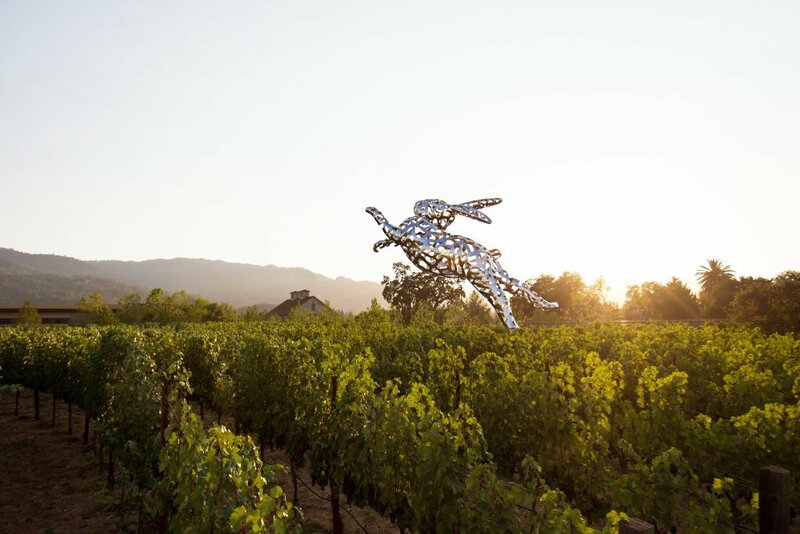 The rabbit sculpture (Bunny Foo Foo by name) is only one of the close to three dozen artworks throughout the winery, which has been meticulously restored and renovated to LEED Gold Certified standards—the first winery in California to boast such a claim. Plan Your Visit: Enjoy the wonders of HALL winery on our Estate Tour. 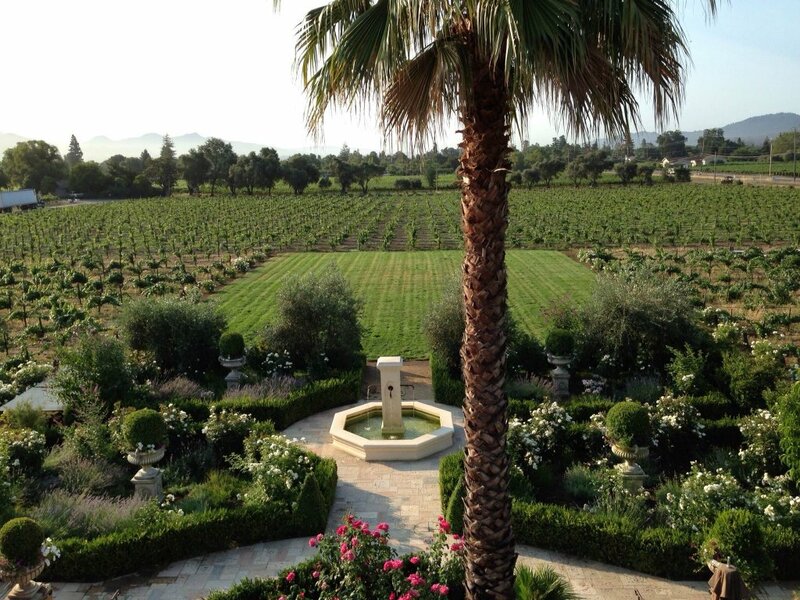 This impressive wine estate is steeped in history. It all began in 1879 when Finnish wine connoisseur and entrepreneur Gustave Niebaum sought to build a wine estate to rival the finest in Europe. Niebaum’s dream was realized—by the time his grandnephew John Daniel, Jr. inherited the property in 1930 it was internationally renown. In 1975, Hollywood came to Inglenook when the estate was purchased by director Francis Ford Coppola and his wife Eleanor. Over the past forty years, the Coppolas have restored Inglenook to its original glory all while ushering it gracefully into the 21st Century, making this winery a must-visit on any wine lover's list. Plan Your Visit: Tour the grand terraces, lush, shaded pathways, and storied corridors of Inglenook on the Estate Tour. Artful, elegant, whimsical, and fun, Raymond Vineyards is no ordinary winery. For five generations, the Raymond family has been committed to producing outstanding wines with holistic technics that include Biodynamic farming and lunar cycles. 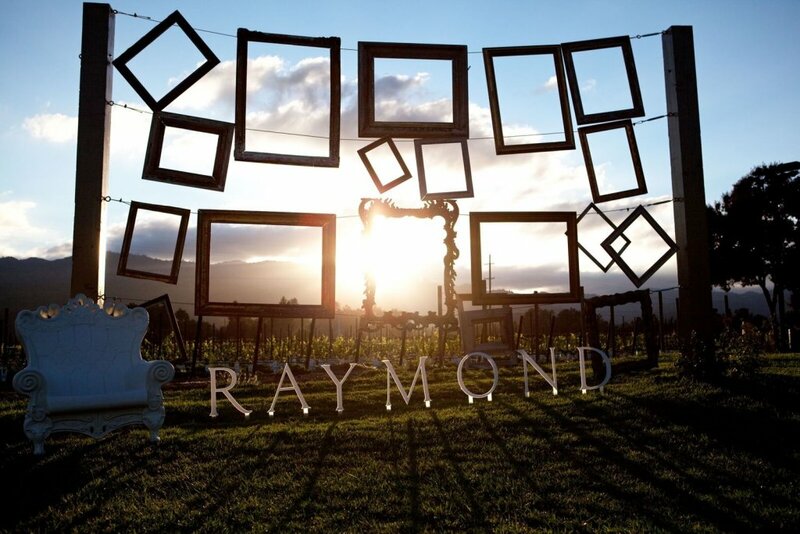 Raymond wines are known for their balanced complexity and refined finesse and a walk through the impressive 90-acre estate reveals a passion for creativity, winemaking, and the environment. 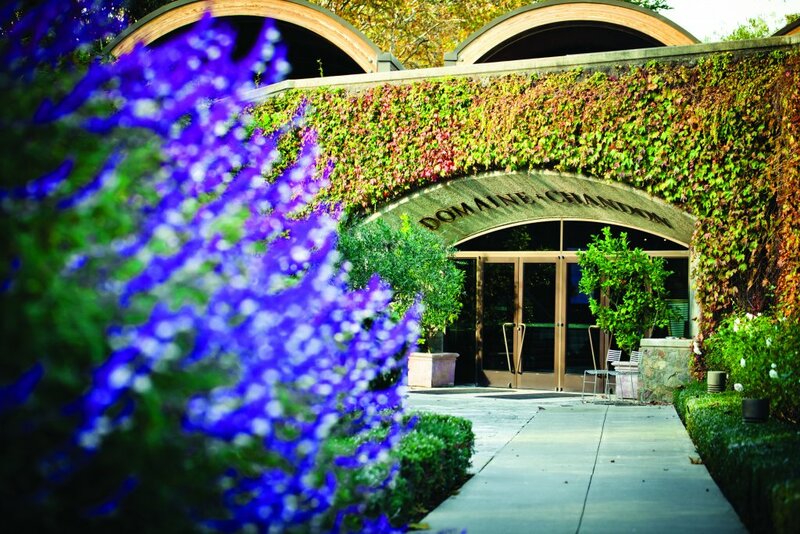 Stroll through the Theater of Nature—the largest educational exhibit on Biodynamic farming in Napa—for an immersive look at how nature shapes the art of winemaking and don’t miss the stunning Crystal Cellar filled with a collection of historic crystal decanters and jaw-dropping Baccarat chandeliers. Plan Your Visit: Three of our tours visit Raymond Vineyards! The Ambassador Winery Tour; Raymond Winery Tour and the Collective Tour. 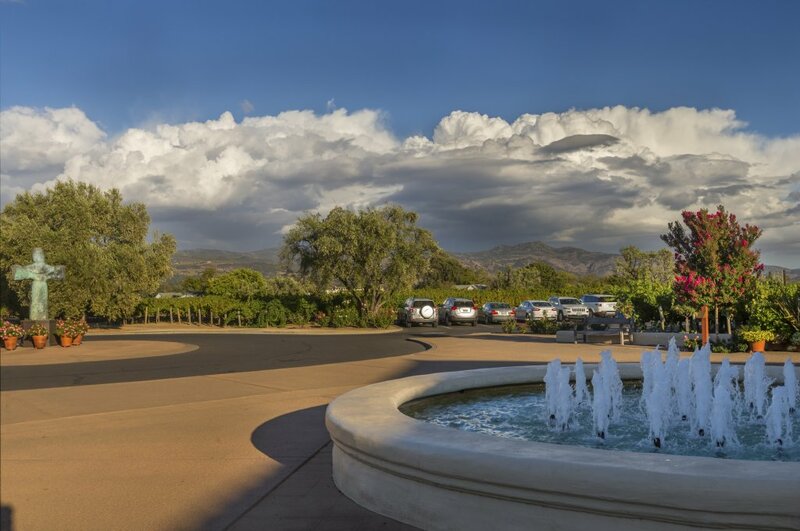 The Kalon Vineyard at Robert Mondavi’s namesake winery is considered one of the finest first-growth vineyards anywhere in the world. 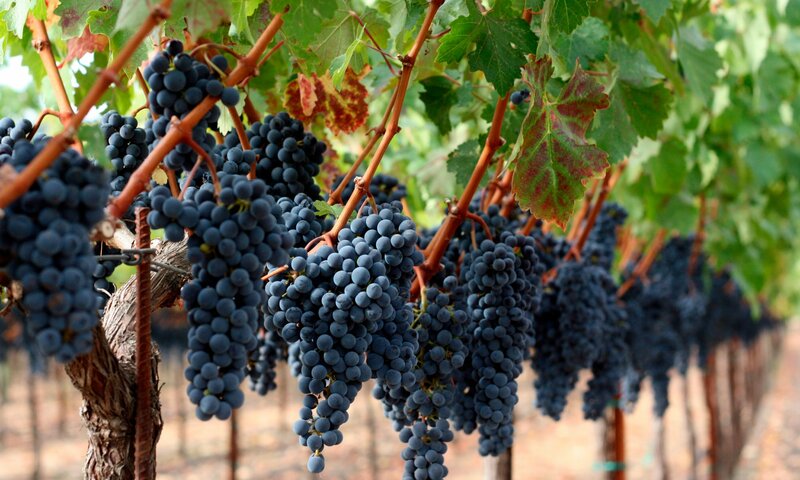 Planted in 1868, its grapes are responsible for the Cabernet Sauvignon and Sauvignon Blanc wines that Robert Mondavi Winery has become known for. 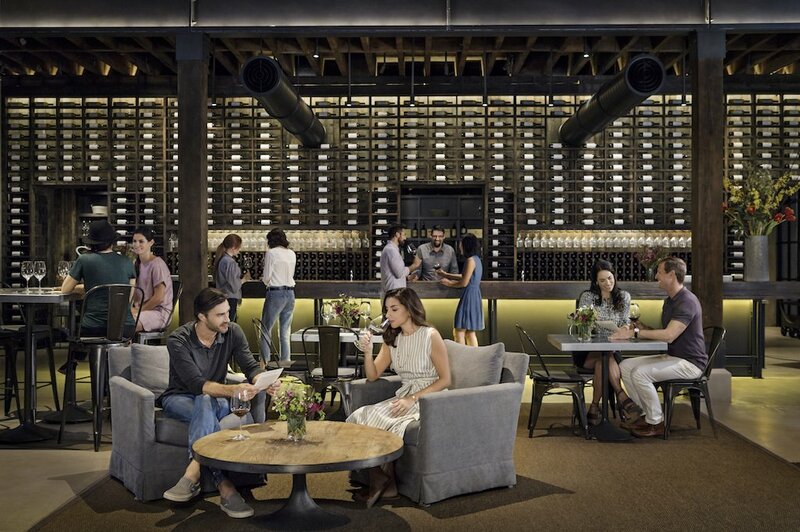 Keep an eye out for Robert Mondavi’s extensive art collection and enjoy the bright Napa Valley light that streams through the floor-to-ceiling windows of their beautiful tasting room. Plan Your Visit: Book our Legacy Tour. This Napa Green Certified vineyard and winery has been producing mouth-watering reds and distinctive whites since 1989. A pioneer in sustainable wine farming, every grape that goes into a St. Supéry wine is grown on the more than 500 acres of land on the estate. While you’re touring and tasting, don’t miss the charming art gallery on the winery’s second floor. Plan Your Visit: This sustainable winery is the first stop on our Collective Tour. 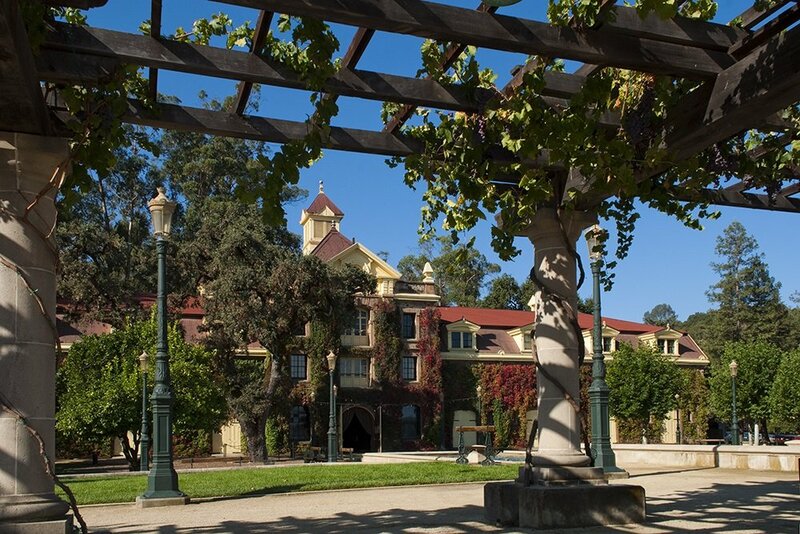 Italian to its core, V. Sattui was founded by Vittorio Sattui who emigrated to California from Genoa, Italy in the 1880s. Despite remaining closed for decades after Prohibition required Vittorio Sattui to stop operations in 1920, the winery still remains in the Sattui name and has produced award-winning wines since reopening its doors in 1976. 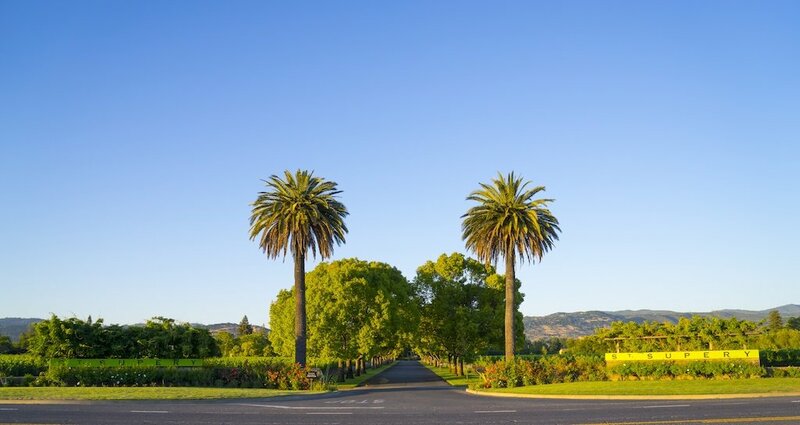 V. Sattui is in the heart of St. Helena and has three different tasting rooms to choose from as well as more than two acres of beautiful picnic grounds for sipping and dining al fresco in the Napa Valley sun. Plan Your Visit: V. Sattui is the final stop on our popular Legacy Tour. Which one of these wineries has piqued your interest? The Napa Valley Wine Train brings the best of the Napa Valley to you. Share your tasting tales and winning wine photographs with us on Instagram using the hashtag #AllAboard.